urbanization, reduced forest cover and erratic monsoon. 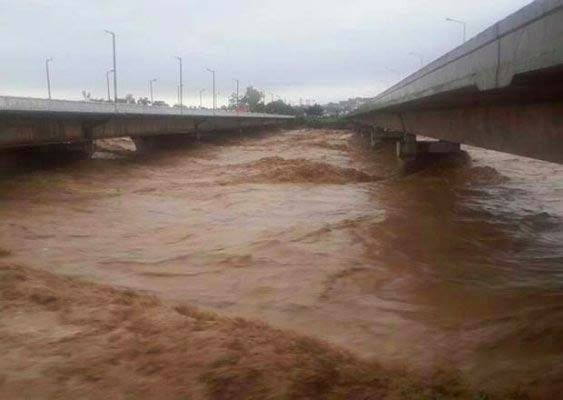 rainfall in Jammu and Kashmir practically every day since September 2.
rain, set off by the merging of the western disturbance and the monsoon. and Astronomical pattern which are mentioned in our ancient treaties. kritika nakshtra risen from eastern directions from central India(Varanasi). Lets have a look at Koorma chakra in India Chart with Uttrakhand chart and we can clearly see Bharani , Ashwani , Revti and ardara Nakashtras are Influencing the North-east region. Rohini , Ashwani & Ardara nakashtras. We faced Such type of havoc. average rain in most of the regions in India and North India specially ? 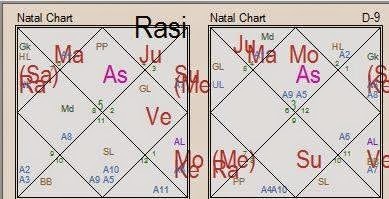 This year Rahu was conjoined with Mercury, we faced sudden changes in weather conditions of Jammu and Kashmir. 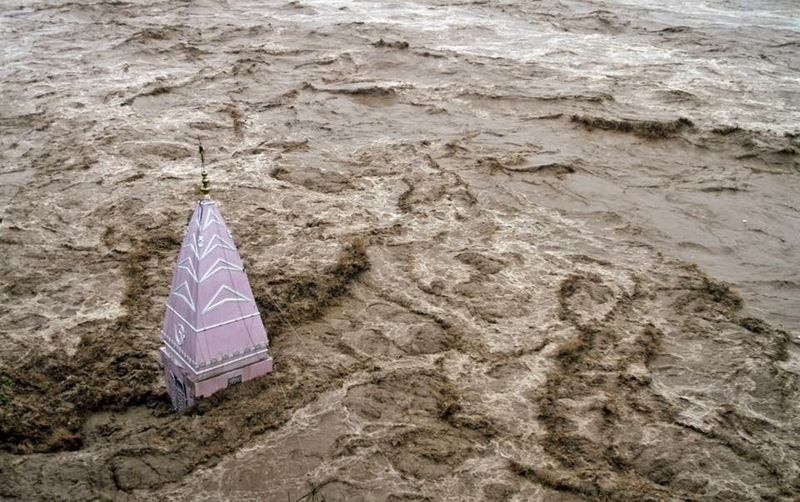 Mercury rules Climate, weathers, rains and floods etc and Rahu rules sudden calamities or sudden changes in weather. nation, as it is a planet of sudden transformation. indicating properties going to be destruct. and Kashmir which worked as a catalyst in current weather conditions. 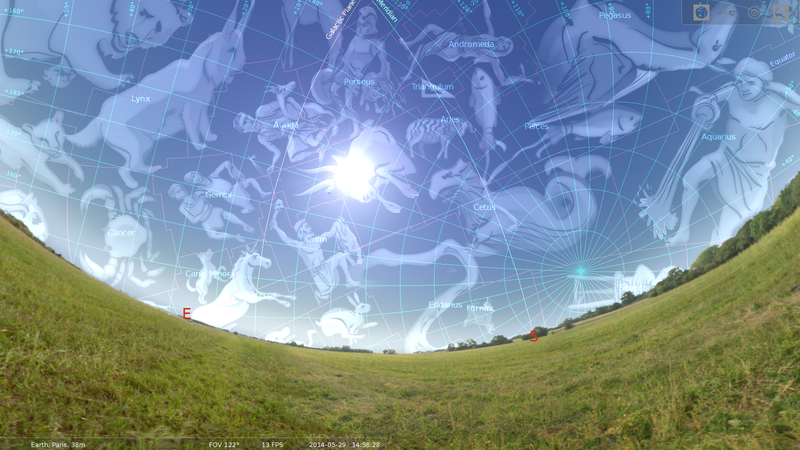 Sun + Venus , Mercury + Rahu and Moon and Jupiter on Jala Nadis.
) with Rahu and Mercury. days after than Destructive part played by Mars. 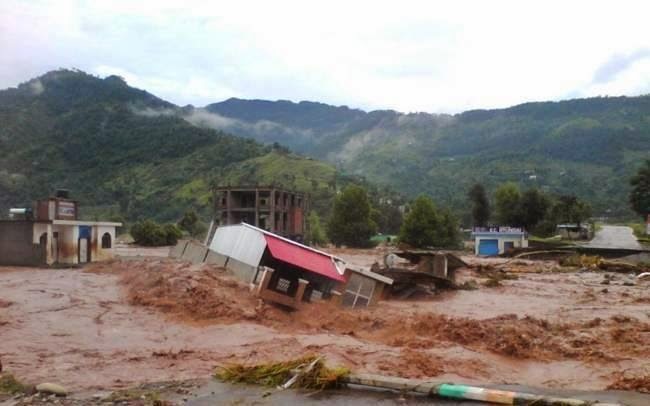 Danger Level with Chenab River , two busses drowned by it. natural calamity for whole nation. 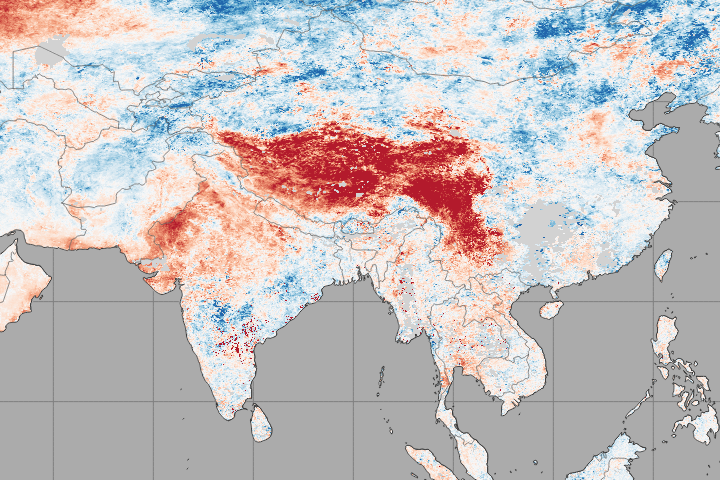 meteorological department for monsoon of India 2014.
crops wellbeing and earth quakes factors etc. reference; some astrologers opine that Varanasi should be considered. Moon, Venus, Mercury and Jupiter gives plenty of rain while, malefic planets Sun, Mars and Saturn are dry, preventing rain. 4. North West: 5th and 6th houses: Baluchistan, Rawalpindi, Peshawar, Afghanistan, western region of Jammu & Kashmir. Sun is behind Mars, there will be no rains for whole monsoon season. windstorm of water and storms will caused massive cyclones etc. If in airy nadi, it drives away all clouds. In Agni nadi, there will be intense heats waves , Dusty and heavy storms. 2. When Sun’s enter in to Kanya, beginning of Monsoon withdrawal from North which is mainly due to western disturbance. backward rains in Bihar regin which we called “ hathiya rain “. rains or it may mean withdrawal of South-West monsoon from India. aspect from Jala Planets i.e Venus and Moon. 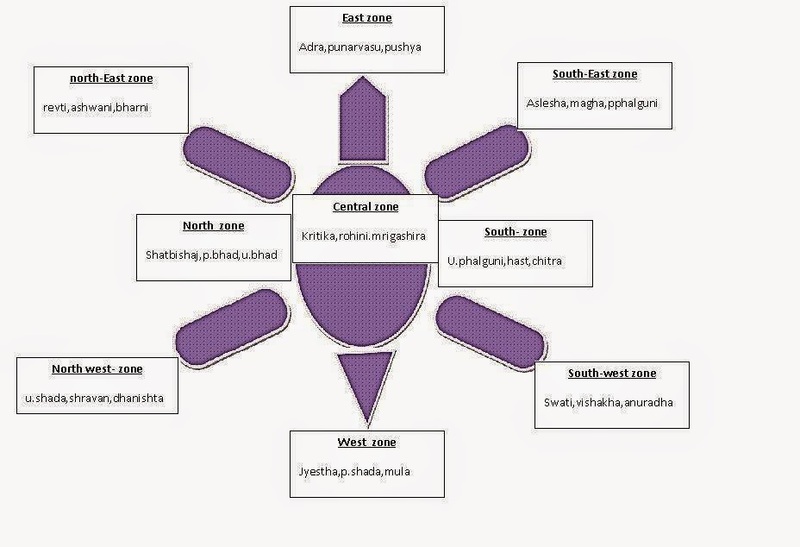 south-west regions of india as what Ardara parvesh chart telling me. balance in season to give Soothing monsoon. 2. Prachand, Pawan and Dahan: also known as Yamya Nadis or Dakshina Nadis ( Sankranti Season) means extreme heat of the summer. abundance and also torrential down pour too. they are also sajala rasis. downpour, even if it is not rainy season. 4. if a major planet changes rashi, noticeable change in weather. or direct, cannot influence weather. 7. More benefics in Dakshina Nadi: rains; more malefics in UttaraNadi: no rains. 9. Venus behind slow moving planet causes wind. Many planets in Pawannadi: destructive nadi. 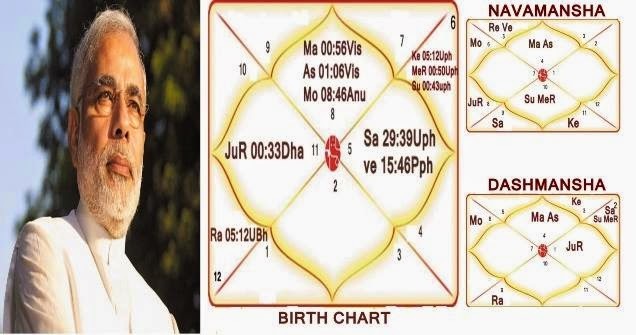 Now let us prepare Saptanadi chakra for Year 2014 on the basis of Ardara Parvesh Chakra. Sapta nadi Chakra to see how much rain we can expect. 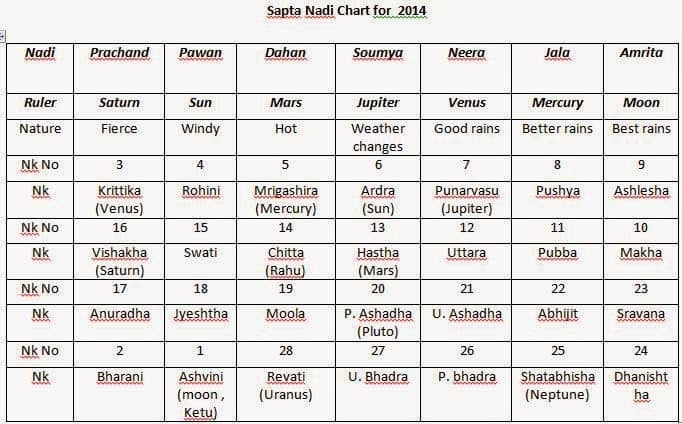 The World chart prepared by Mr Vinay Jhaa ( As per Surya-sidhantika Mode) also revealed same about the Monsoon condition for India 2014. So this way can see any events which are happening in any country. 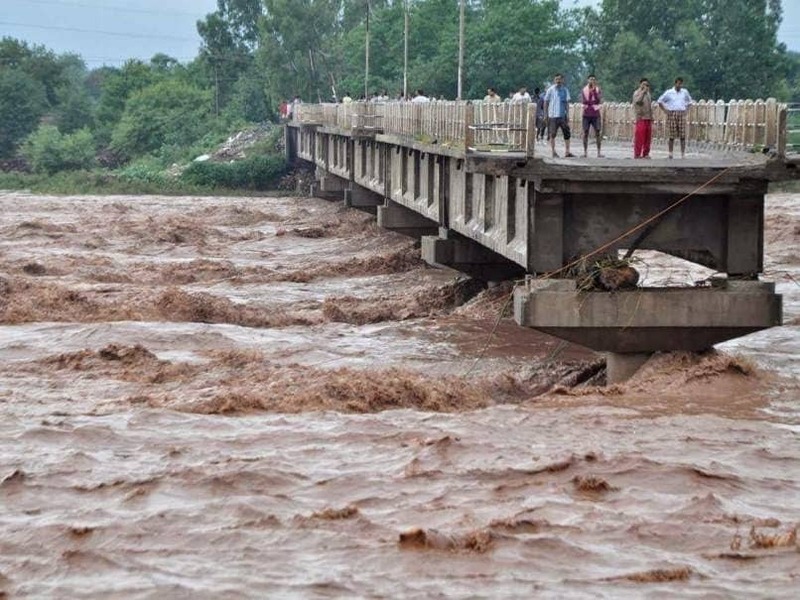 News Reference on Report on J&K Catastrophe 2014 : http://www.indiatvnews.com/news/india/jk-floods-straight-from-the-tawi-bridge-jammu-41457.html. It was a Stormy Night in My city on 29th of May 2014 2 @10 Pm when I was Discussing the Mundane Astrological and astronomical techniques for how to check Winds and Storms via astrologically and astronomically way and also predicting the nation’s catastrophe events like Rains, Earthquakes, Wars, Floods and Cyclones to One of my Student who is living in New Delhi. It was a quite interesting discussion on prediction of Natural disasters via Indian Astrological and Astronomical Techniques which were given in Brihat Samhita of Varahmhir. I was teaching her how we can Predict Natural Disaster on our cities, Indian States and Countries and even on world level too. Me: did you felt so much heat after 28th may ? Student: She Said Yes It was much heat In the city it was around about 44 Deg. ( I said ) Me: you know why? Me : I said Let me Explain : Heat Wave Usually happen in the Atmosphere when Sun and moon usually both are conjugated on those signs which are closer to the line of equators and on the Day of Day 28th May 2014 both Sun and Moon were in Taurus Sign and in future they will be Gemini and cancer signs and all those signs are very closer to the equator and so we will sure gone feel Much heat waves in the Northern regions of India for eg Jammu , New Delhi , Punjab , UP , Mp and Some of those cities which are closer to Line of Cancer like Rajasthan , Gujarat , Mizoram etc. When sun transits to these signs after 19th June 2014 we will experience much heat in northern and Tropical states of India. Astronomical Reason Is Sun usually evaporates the water and creates humidity in the atmosphere and when it goes close to the moon on those 2.5 days we can experience much humidties and heat in our atmosphere and this actually happened when moon goes closer to Sun on 28th of May 2014 there was much heat in all the northern regions of India as well as much moisture and humidity too. I further said it will be over when you wake up in the morning of 30th may and you will experience much cooler atmosphere as on 30th of May 2014 morning as Moon will be more closer to Mercury in the same nakashtra of Mrigshira which is the nakshtra of Ketu and it can bring Sudden change in the Wind in city. Student: She Said Amazing! Indian astronomy is so amazing even we can predict weather too. I further Said in added to the upper explanation was there any Strong Wind in your city or Strong Storm in your city currently going on ? Student Said: She said nothing! There is nothing like that there is only Heat of 44 Degree. Me: I said there will be a Strong Windy and Dusty Storm may Hit New Delhi on 30th of May 2014 till 7 Pm. Student: She further said! How it could be Possible. Me : I explained it further and said ! It usually happen when moon moves closer to the Mercury in daily transit you can experience Windy atmosphere in those 2.5 days and you will see much Wind when tomorrow it will approach to mercury and Moon has the capability to gives cool breeze in the air when it combines with mercury as Mercury is the lord of the winds so you can experience cool wind at night on 30th May 2014 after 7 Pm and will feel a change in atmosphere from the morning but my Point of Stress was something else Mercury will move to Ardra Nakashtra on 6 deg 40 ‘ exactly @ 17:00 Hr (5 Pm) @ New Delhi. what Will happen at that time !. But there was one thing which was keep running in my mind and it was giving me the Deep stress inside as Both Moon and Mercury Will be in Ketu and Rahu nakashtra respectively which can bring sudden damages to the city . As Moon Will be much closer to Mercury on 30th of may 2014 but both Moon and mercury will be in Mrigshira and Ardra nakshatra respectively and both are the nakshatra of Sudden climatic changes and can give Sudden climatic catastrophe if further Rahu and Saturn aspect it or join it in a transit so I was quiet worried deeper inside as New Delhi may face Sudden Strong Dusty Wind storm which can damage the City to much extent. My Point of Tension was the Gemini sign which is to be considered as the most Destructive sign for any catastrophic events and history has seen this many time in the country and in Indian we have seen last year 2013 when We have transit of 5 major planets were transiting on Gemini sign on 16th June 2013 & we Experienced the nation most Disastrous event in the Nation of India – “ The Kedarnath Catastrophe “ and with the same thing it was Disturbing me much. 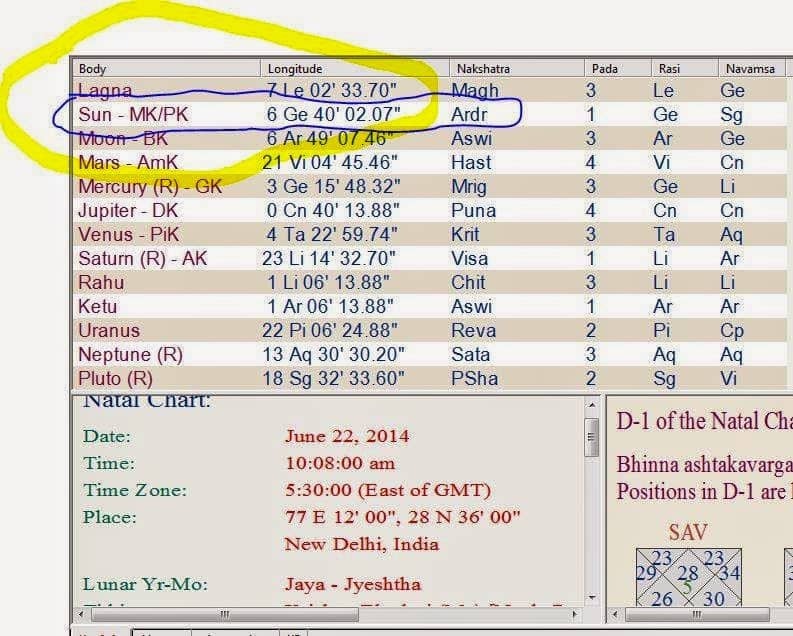 As when Moon will move into Gemini Sign on 30th may 2014 , Moon will be in Same nakashtra of which Mercury is lording too “The Mrigshira nakshtra ” whose lord Ketu is already present in Aries Sign in 12th house from the Taurus lagna of India & Having both Venus and Ketu present in it , both the planets in Ashwani nakashtra whose lord is Ketu nakshtra already there in 12th house So i can say Situation would be Very Dangerous for the nation Because Ketu is considered as the Most Randomly,Unpredictable and Disastrous planet in Mundane Astrology which can bring Disaster and Havoc to any nation. 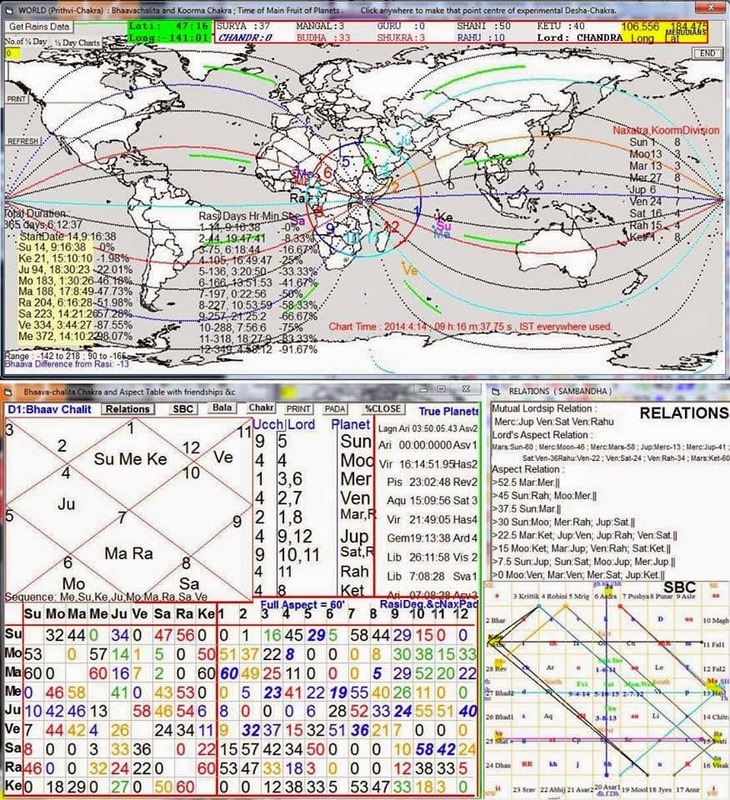 Most Important thing will be at that time was Both Ketu and Venus will in 12th from Taurus lagna “ The India Chart “ and 12th Simply means Sudden Damages & Destruction to the properties , Sudden Changes in the climate and it could be Sudden Thunderstorm and Lightning with heavy rains too and it lead to Heavy loss to the city as Both the planets were getting aspect from Rahu , sat and Mars too.So we can Assume Situation will be Different after the thunderstorm and Sudden Climatic Change in New Delhi. As Ketu is the only planet who has the capability to Bring any Sudden Disastrous challenge in any nation like nuclear explosion, unexpected Wars, Sudden Tsunamis and High cyclones and High atmospheric pressure and if it is any case conjoined or being aspect by Saturn , Mars and Rahu , than it can bring major damages and Loss to any nation . In “ India Independent chart “ we have this Proof as Rahu was also Transiting on Libra sign also aspect the Gemini Sign Where Moon, Mercury and Jupiter are already present and we can Expect there will be a disaster going to be happen soon on 30th of may 2014 on Most hi-Tech City of the nation ( Gemini Sign- Indicates Hi-Tech Nations , States or Countries and Sign belong to North of India where New Delhi , Jammu , Punjab Like cities falls ). 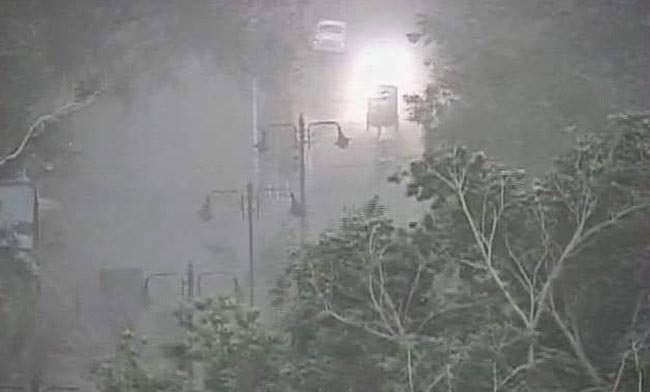 “6 degree 40′ ” – “ The degree of “ Most Dreadful Ardra Nakshtra of Rahu “ I was assuming Delhi May hit Strong Dust Storm on “17: 00 “ Hr @20th May 2014 at 6 Degree 40′ when Mercury will be exactly in Rahu ( Ardra nakashtra) exactly at 17:00 Hr and Delhi may face Strong and Heavy wind Storm which never going to be happened in the New Delhi ever. As at that time both Rahu and Ketu will have that capability to Damage the city badly and hit with big Dusty wind Storms. 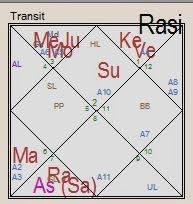 As on the Current Transit on 30th of May 2014 When Mercury will move to 6 Deg 40’ Rahu can give much disaster to the city of Delhi reason being it will aspect Both Gemini and Aries from Virgo sign where Mars is there and Saturn also going to aspect on Aries too where Venus and Ketu will be there which will be the 12th from Lagna ( the house of damage and Destruction ) and nakashatra lord of Moon will be there too so we can Expect Strong Windy wave and Dusty-storm ( Because of Mercury on most dreadful nakashatra of Ardra ) and Rahu also getting Aspect on Gemini Sign at same time as well as Aries sign too so we can expect That storm has capability to damage much and it can affect all the electricity and all the communication as well as all Airo control System functionality of the city too as Rahu is Lording both the electricity and Air Space system too in Mundane astrology. 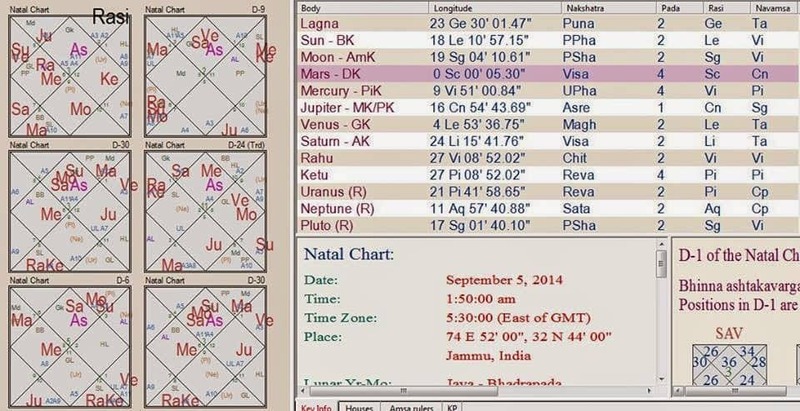 This Movement of Mercury in ardra nakshtra will affect all the communication system in the city as Mercury will be in in Rahu nakshtra and Rahu also aspect Mercury too so we can Assume there will me much disturbance in communication system and this will be a sudden surprise to New delhi as moon is in the Ketu nakashtra ( planet of bringing Sudden and unexpected things ) and later we will experience thunderstorm too as Mars also aspect Aries sign too by direct aspect and Gemini by Rasi aspect. So ,that was the Question of my worry which bring the Destruction Of New Delhi and it came Suddenly during the Mundane Discussion lesson with one of Student. Now i am assuming Indian astronomical System can gives faster prediction than the Indian meteorological system. 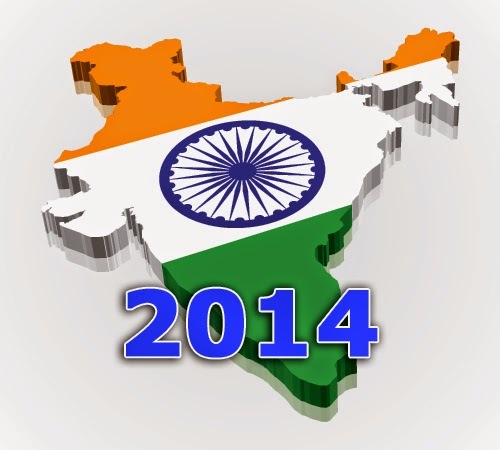 2014 Will be a Year of Revolution , Social Revolution and India will see New changes in Era of Indian Political and Social System.Power of Honesty , Unity & Common Man will Rule the Year of 2014. Mid-Half of June 2014 Will Bring Sudden Changes in Whole Political , Religious and Social System and establish the Power of Common Man. Common Social Mass(Saturn) will win Sinners will get Punishment. 1)Guru Will be Move in its Most Exalted State(Cancer Sign) after 13 year & Will Form Miraculous Spiritualistic ,Religious and Righteous Duties to Establish Great Social Structure in India. 3)Rahu Will be in its Mool Trikona Sign(Virgo) and Defend the Honest System as a Defender. 4)Number 7(Ketu) Will Rule the Year- Truthfulness Will Prevail & Miracles Happening would seen in whole year.